Designed to pack small so you can travel light. 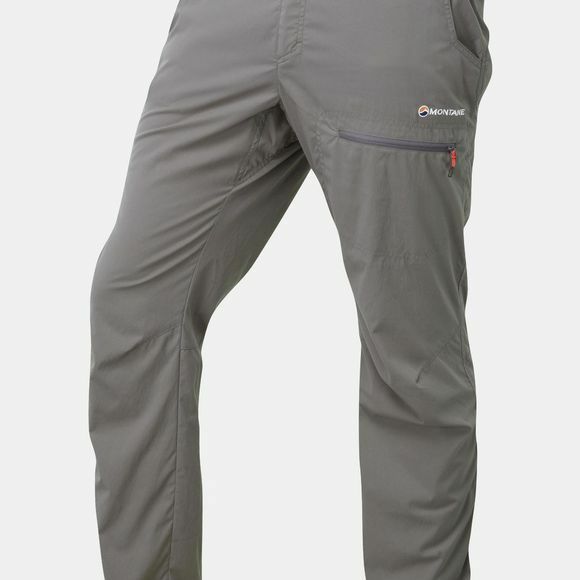 The Men's Terra Pack Pants from Montane define weight saving simplicity with four pockets, ankle adjustment and a removable belt. Tailored for high step movement and all day comfort, you can wear them either trekking in Peru, climbing in Squamish or on the long journey home.